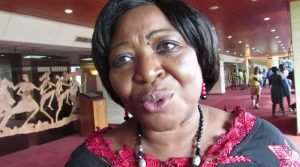 The MP for Hohoe, Bernice Adiku-Heloo, is threatening to drag the Local Government Minister before Parliament to clarify the district or municipality status of Lolobi, Akpafu, Santrokofi and Likpe in the aftermath of the creation of the Oti Region. Answering a question in Parliament yesterday, Thursday, Regional Re-organisation and Development Minister, Dan Botwe, indicated that even though these areas are under the Oti Region, he had no answers as to which district or municipality they were part of. The Hohoe MP, whose constituency covers these areas before they were drafted into the Oti Region, says it is unfair for these communities who protested their inclusion in the Oti Region to be left hanging. “I want to know where in the constitution we can divide or call an area that is put in line or along with other districts traditional areas,” she said in a Citi News interview. Residents of Akpafu Odormi in the Hohoe Municipality boycotted the referendum that endorsed the creation of the Oti Region. The chiefs have never been in favour of joining the new region if it meant being separated from the Hohoe municipality. The community also vowed not to even engage with the Justice Brobbey Commission during the consultations on the new regions. The community was to be part of the proposed Oti Region which was carved out of Volta Region. In protest against their inclusion into the proposed region, residents of Akpafu Odomi refused to take part in the limited voter registration exercise and even chased away Electoral Commission staff . The community also said it may pursue legal action over the matter.